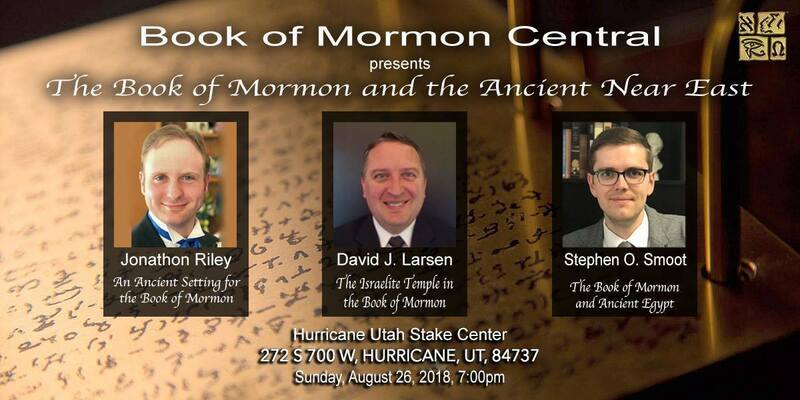 On Sunday, August 26th at 7:00 PM the Hurricane West Stake of The Church of Jesus Christ of Latter-day Saints will host a special fireside by Book of Mormon Central. The fireside will be held at the Hurricane West Stake Center (272 S 700 W, Hurricane, Utah). It is free and open to the public.